Wetherby and Privas - Twinned for 25 years! Wetherby started looking for a suitable twin town in France in the early 1990’s. The criteria were that the town should have a river, a bridge, a market and be of a similar size. 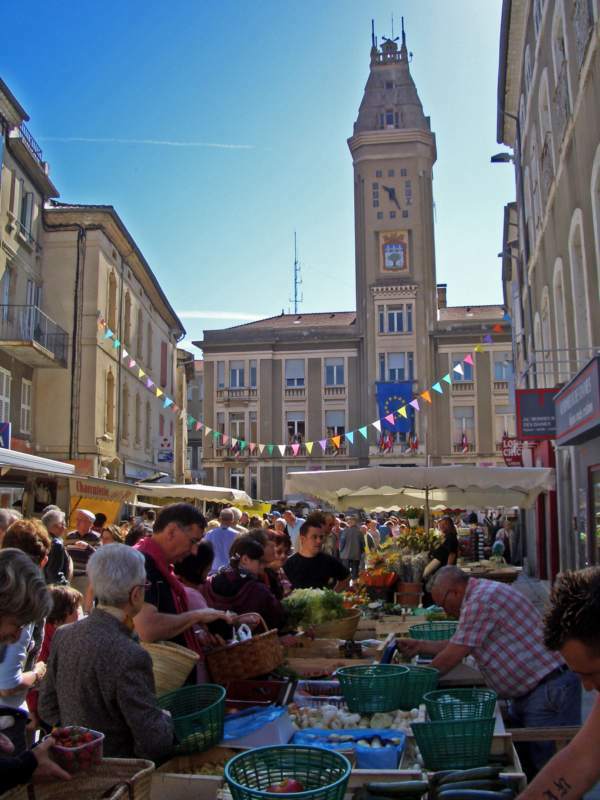 Privas is located in the Ardèche region of France, it has a beautiful old bridge over the River Ouvèze and a weekly market in the area outside the Town Hall. The official twinning contract was signed by the Mayors of both towns in 1992 and was renewed on the 10th anniversary in 2002 – you can see the original document in the cabinet just inside the front door of the Town Hall. All of the activities connected with the twinning link are organised on behalf of Wetherby Town Council by the Wetherby Twinning Association. Official visits take place every 2 years, but many individual visits are made in between. More information on the successful partnership is available on Wetherby Twinning Association's website.